Indian Trading League (ITL) presented by SAMCO and powered by CNBC Awaaz, is India’s only stocks and commodities trading and investing league which encourages participants to drive towards excellence in money making skills to deliver superior returns in the trading and investing arena in a real time environment, with real money and real returns. It is a platform that ranks participants on absolute net percentage returns. The outperformer generating highest percentage returns gets prizes up to 1 Cr and a fund with an initial corpus of 1 million dollars for management & much more. Competition and comparison have been noted to best drive self-evaluation and self-enhancement in every walk of life. Extending that thought, competitive spirits either in the form of trading competitions or trading tournaments tends to get better results and our winners are the testimony of such platform. Ordinary people from all walks of life, house wives, professionals, businessmen and even drivers have all had the opportunity to excel in their trading and investing skills. There are participants who have generated returns in triple digits. How is it possible that ordinary people are able to generate such phenomenal returns consistently? How has trading challenges changed their lives? Let’s hear straight from their heart! “Look for volume and momentum breakouts, trade with risk reward ratio of 1:3 with stop loss in place and have diversified trading positions. Be fearless and have the ability to bounce back even in the midst of adversity”- Chaitanya Jaiswal Quarterly Winner. “Trading on stock market requires lot of hard work it takes years to become expert. Just like Graduation takes 5 years to complete, similarly to become proficient in stock market it takes years of practice, hard work and continuous learning. There are no short cuts to this.” – Amit Kumar Khurana Weekly winner. “Don’t let the moral down with the fall in capital, because it’s an opportunity to rise, keep patience till the last and share the laugh” – Sandeep Deharkar Weekly Winner. There is a wealth of wisdom from these and other winners on our Winners Page. 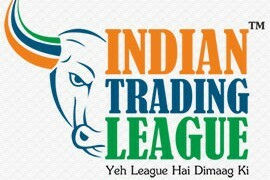 How the Indian Trading League and SAMCO have helped some of the winners and what they have to say? 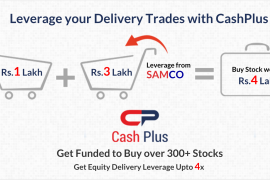 “For Intraday trading, trading costs matter and they need to be kept low and with SAMCO’s Rs. 20/order plan, it is really cost effective and also hassle-free.” – Pankaj Jain – Consistent winner in the Commodities League in the Weekly and Quarterly Leagues. “I must congratulate Mr Jimeet Modi of Samco Securities & his team for providing a wonderful platform and seamless support for traders & investors like us.” – Madhu Vaid – Consitent Winner in the Women’s League in the Weekly formats. Some of the top performing winners have honestly shared their complete strategy, on national television! Check out snippets of their discussions as they share their strategies. How to trade in share markets? There are hundreds of ways of making money in the markets where some use fundamental analysis, some use technical analysis, some others use open interest and sentiments indicators. Some of the common traits which all the winners invariably had, were the discipline to stick to their methods, they followed rigorous risk management principles and above all had a positive state of mind towards markets. This was one of the most important points that we focussed on in our article How to make money in the markets published on the ITL website.These winners have figured out one method for themselves which suited their style and had the discipline to stick with them no matter what. Making money just becomes easy when one surrounds and follows the footsteps of successful people. We believe ITL is one such unique platform in India which makes participants learn and share from each other’s experience and ignite competitive spirit to become better and better with each passing day thereby creating lots of wealth for themselves. Success is a journey and not a destination we believe ITL will most sincerely help you in your wealth creating journey. The participants have to simply open an account with Samco Securities ltd, a SEBI registered Equities and Commodities broker. Opening an account is a very simple process, simply register on our website, fill in the form, take a print, attach the KYC documents and post them to us! Voila, your account will be opened in 48 hours of receipt and you can start trading immediately!. There are various league formats depending on one’s style trading or investing. The outperformance in any of the week, month, quarter and annual time frame is rewarded with wide array of prizes with the top trader being awarded 1 Cr cash prize and national level publicity. A few basic rules have to be followed so that the integrity and level playing field are maintained at all times. The ranking is displayed every day on the leader board this can be shared with friends and relatives on social media for wide publicity. In fact the ITL is India’s only platform that allows you to track even your friends performance via social media tools such as Facebook. You can measure your ranking & return percentage vis-à-vis your friends & family to know where you stand! This social recognition acts as a kicker to perform even better than before. There are participants from across the length and breadth of India covering 4000 cities, towns and villages all the way from Kargil to Kanyakumari. So be a part of this league and join India’s best traders and investors and ignite a passion to outperform all others and win the title of India’s Best Trader and Investor. Check out our Facebook page or Twitter handle or YouTube Channel for all the action.